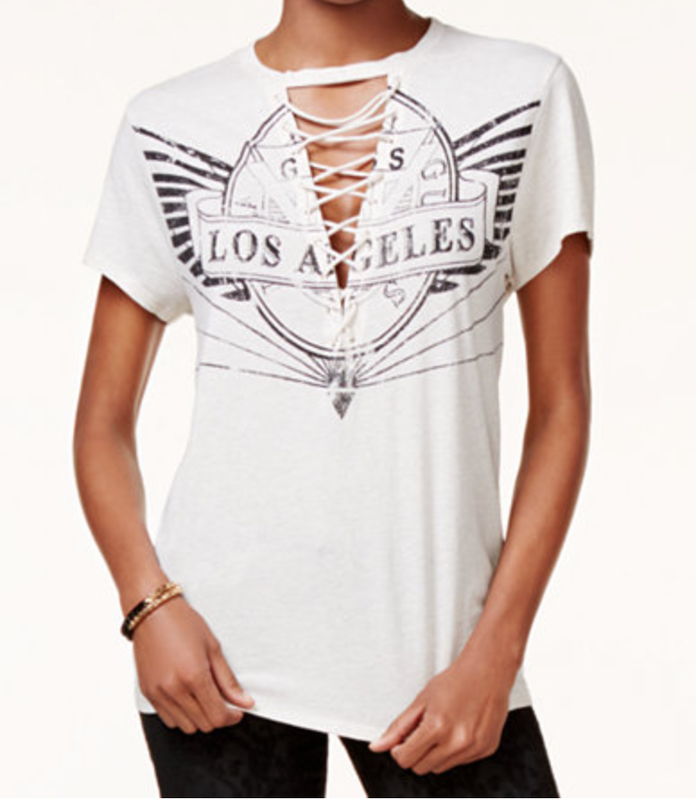 I've been obsessed with cool tees and a couple of weeks ago while I was browsing the aisles at Forever 21 (as usual!) I found two super cool lace up tees. 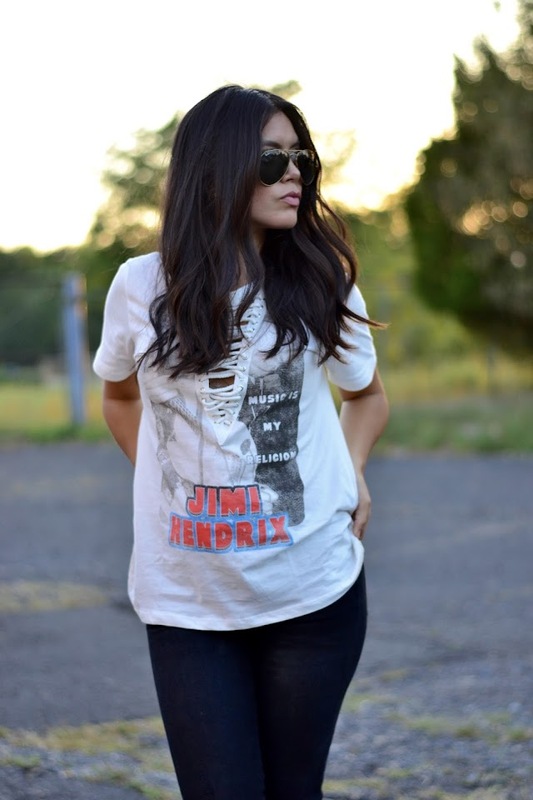 I am all about comfortable outfits I can wear day in and day out and these tees are just that. 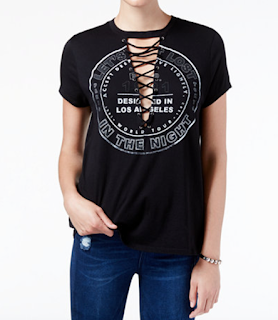 If you are looking to up your mommy outfit game, cool tees are one of the pieces you need asap! I ended up purchasing two tees that day; a black one and a white one. I love the cool design and the material is actually so so good! The one I am wearing on this post caught my eye first, it's such a freakin' cool t-shirt. I love love love it! As a mom I am always repeating to you guys that all I look for is comfort whether I am in a tee or in a lace, sequin blouse, I just want to be comfortable and put together. These tees are such great idea on rocking the "mom look" with edge... extra cool points too! ... Here are some of the other tees I loved and where you can shop them! You can shop these two below, here. Happy shopping, love you guys!